Don’t forget to sign up for our e-newsletter and read more about nutrition at our other blog. Please bookmark this article to help others find it. good article – written in “cut to the bone” style. I am a vet and don’t think that dry food always are the best. On the other hand lots of diseases regarding dog growth have be a lot less. OCD is the main one I am thinking of. Eclampsi is another. Not everything is just bad nor good. Dr. Schonbeck, thanks for your comment on my Blog4Dogs blog all the way from Sweden. I have more in-depth dog nutrition articles on my main blog, Truth4Dogs.com. You might especially like the guest post by my friend, Dr. Jean Hofve: Dog and Cat Food Labels: Marketing Tricks That Cost You Money. Jan, I love this article. As you know, I’ve switched Peaches over to a homecooked diet and I also often bring my leftovers home from the restaurant and add a few items such as hard boiled eggs or a can of tuna to extend the meal..
Beside the great bonus of my dogs health visibly improving (! ), bringing home leftovers has resulted in a bonus of a 10 pound weight loss for me:) Peaches LOVES her leftovers!! I found your web log on google and read a few of your other posts. we added you to a Google News Reader. Keep up the good work watch for reading more from you at some point. Thanks. I’m glad you’re enjoying blog4dogs. Have you seen my bigger, more active blog: http://www.truth4dogs.com ? I think you’ll like it. This is incredibly informative and I would like to quote you in some of my blogging. 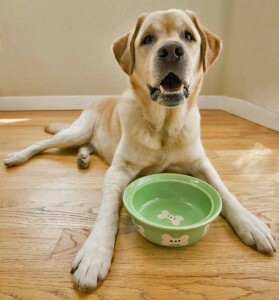 So look to see links coming back your way – I know from experience that the processed, dry food is literally “plumping up” our pets like a cartoonish Foster Farms commercial, but it’s no joke. In addition: Have you noticed how many dogs have rashes, itching and other skin disorders? I’m sure it’s not genetics; it’s the food. The article has been very informative indeed. Yes these are some points that we must keep in mind especially the point on foods that are hazardous to canine health. Xylitol is very harmful and can be fatal to dog’s health. And also, food that we think are common may also prove to be extremely hazardous.